Which Technology Is The Best For Creating An Online Digital Showcase? Virtual tours are changing the way buyers view listings when considering a new home. They are no longer entirely dependent on photos. While photography will remain the key factor in viewing homes online as they are often the first impression, virtual tours are creating a new, immersive way of seeing the property in its entirety, from any location, and from any angle. 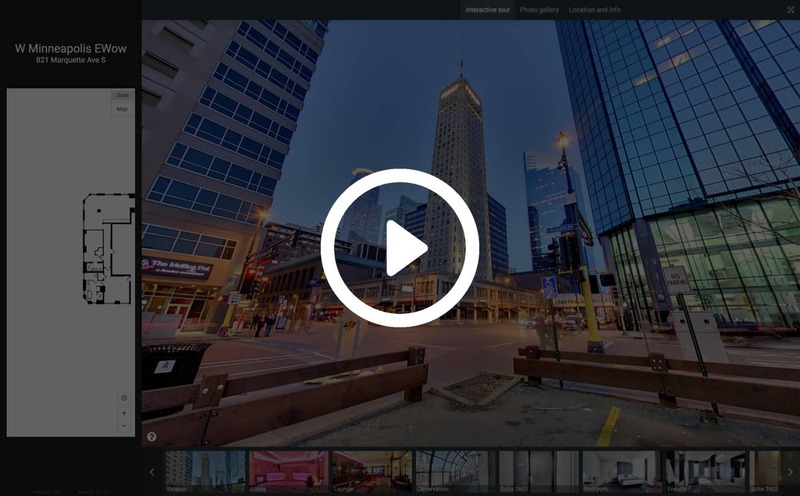 There are many different options available for creating virtual tours, including a couple new entries. This makes it difficult to decide which technology to utilize. Use this guide to help you choose the right package for your listing! Utilizes Matterport 3D capture technology. Truly immersive tour where the viewer has complete control of what they see. Dollhouse view rendered from 3D scan and photos to show the scale of the space. Slideshow of key scenes and features is included for viewing and can be easily exited at any time. "Mattertag" allows specific features to be tagged with a description (for an extra charge). Starting location can be changed at any time for optimal viewing. Top-down floor plan view of the property is included. Floor plans with estimated square footage (available for extra charge). Utilizes brand new, high-quality 3D capture technology. Potential buyers interact with the tour for an average of 2-4 minutes. Floor plans with estimated square footage are included. A version of which is interactive and works alongside the virtual tour. 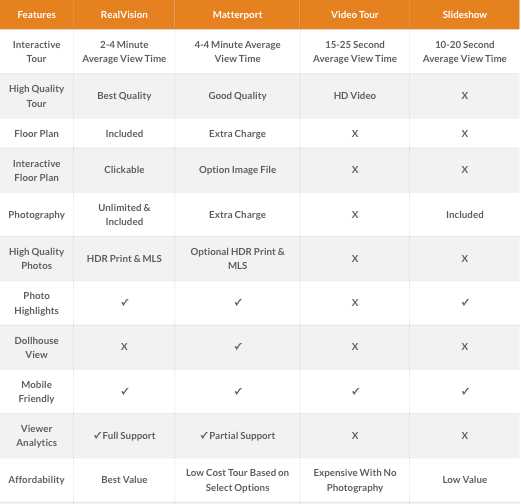 High quality, HDR photographs are included. Additional photos can be pulled from the tour at any time. Photos are delivered as print ready and MLS ready. Highlights of key scenes and features are available for viewing and can be used to jump to different locations in the tour. Full viewer google analytic support with details on who, from where, how long, and more are tracked. We’ve worked hard to earn our reputation as one of the top firms in the city by delivering high quality products and exceptional service using a unique system that makes the entire process quick and easy for our customers.